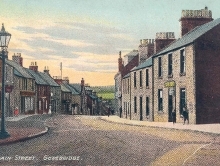 Gorebridge became a busy shopping centre in the late 19th century, local gunpowder manufacture being superseded by coal mining and the supply of neighbouring agricultural communities. 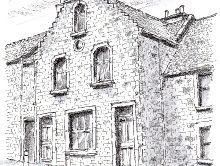 Development was first centre on Main Street which rose steeply above the gunpowder works site. 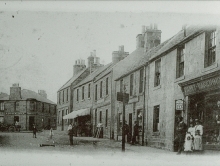 The late 19th century saw substantial redevelopment of shops with flats above. 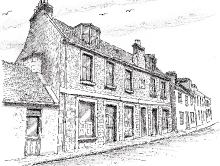 Some shop owners ceased to live about their work and built substantial villas within large gardens in Private Road. 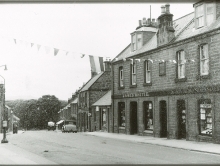 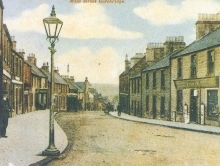 Main Street remained the only shopping street until ribbon development commenced along Hunterfield Road to the north linking Gorebridge with the village or Arniston. 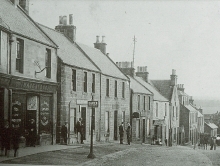 Main Street has now ceased to be the commercial hert of Gorebridge this having largely moved to Hunterfield Road. 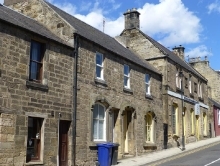 The 19th century core of Main Stret shops and flats together with the nearby villa development is now surrounded by large areas of mid 20th century local authority housing (often for incoming miners) and latterly by larage private housing development in the early 21st century. 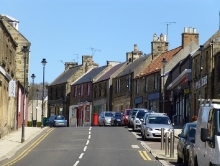 Sitting on the upper slopes of the valley of the River South Esk Gorebridge commands some of the finest views in Midlothian. 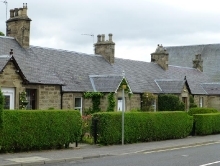 These stretch uninterrupted across the valley west towards the Pentland Hills. 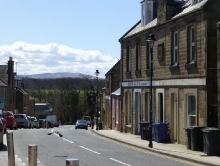 From the upper part of Main Street there is a view of woodland to the south towards the Moorfoot Hills. 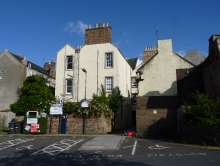 From the middle part of the street on its east side the view to the north is attractively enclosed by Newbyres Cottage. 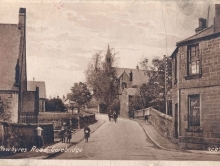 From the west side the view in this direction has the less attractive prospect of the bowling green clubhouse and the 20th century local authority housing. 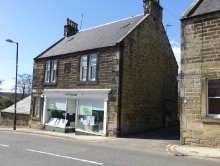 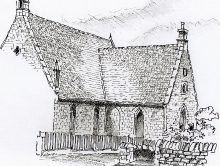 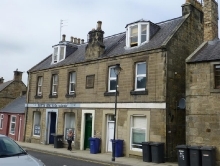 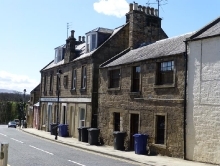 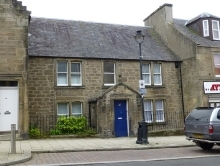 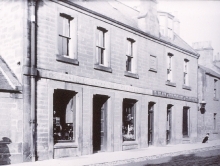 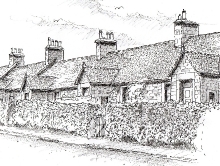 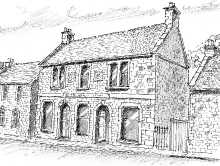 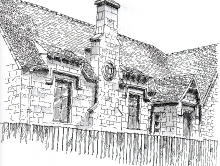 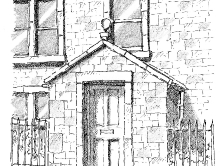 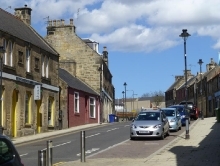 Although Gorebridge has seen much change over the years, the Main Street still retains a distinctive and attractive character with traditional local sandstone buildings many dating from the late 19th century stepping down the street. 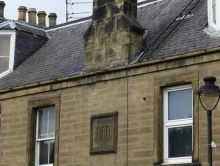 Some of these are listed buildings, being of architectural and historic importance.